New 2019 Honda Accord LX 1.5T Sedan with automatic CVT transmission (STOCK# HW12056, MSRP $24,615) $103/MO LEASE OFFER: 27 months, $4917 total due at signing (includes $3999 down payment, first monthly payment, doc & title prep, bank acq fee). $244/MO LEASE OFFER: 36 months, $1059 total due at signing (includes $0 down payment, first monthly payment, doc & title prep, bank acq fee). ALL OFFERS: Sales tax, title and registration fees additional. 12K miles per year, $0.35 per mile excess and require bank-approved credit. Security deposit waived. Offers only available on in-stock vehicles. Pictures are for illustration purposes only. Must finance/lease through Honda Finance. Excludes prior sales. See dealer for details. Actual down payment may vary. Offers end 4/30/2019. 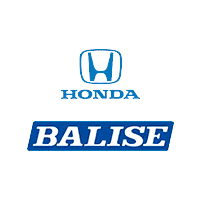 There’s a wonderful place to go near the Cranston, Johnston, and Providence areas to shop for the latest models from Honda, and that’s Balise Honda of West Warwick. The Honda Accord is one sedan we can’t stop talking about! For performance, this car has both power and fuel efficiency. For safety features, this vehicle utilizes advanced technology to protect you and your passengers. Stop by our Honda dealership to test drive the Honda Accord of your choice. Elegantly redesigned taillights will make a bold statement no matter where your travels take you. Upgrade to the Sport model, and you’ll receive powerful LED fog lights to help in any New England weather conditions. Honda Accord Touring models incorporate added upgrades like Parking Sensors and Rain-Sensing Variable Intermittent Windshield Wipers. The Rain-Sensing Windshield Wipers will automatically adjust their rate depending on rainfall. When you jump inside of the new Accord, you’ll be amazed at the amount of space throughout the cabin. Dual-Zone Automatic Climate Control will keep you and your passengers comfortable the entire drive. The Accord LX also features the 1.5-liter turbocharged engine with continuously variable automatic transmission, Honda Sensing, push-button start, 17-inch wheels, LED low-beam headlights, multi-view rear backup camera, and much more. 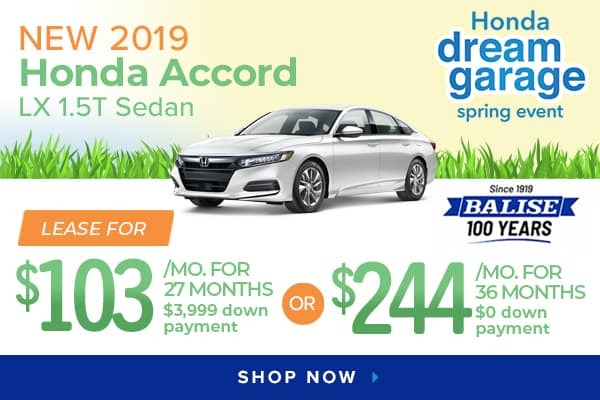 You’ve heard it here first – Balise Honda of West Warwick has the new Accord available for you to purchase or lease today. When you’re ready, come in for a test drive. If you have additional questions about our Honda Accord inventory, please feel free to reach out to us online.